I hope MMRs quality has gone up over the past couple years. After wasting money on a short block and a set of over ported heads from them i removed all their junk off my truck. The 5.0L engines came with a weak powdered metal crank gear that can crack and damage your engine. To prevent this we do also offer the billet crank gear which is designed to be the strongest and most reliable one on the market. Manufactured in America from heat treated chromoly billet steel to create a much stronger and more durable replacement for your 5.0. This gear is highly recommended to be replaced with your oil pump gears, both know causes of engine failures. Here's a link to the crank gear on our website. We also offer them as a bundle package which includes both the oil pump gears and the crank gears together. However this package has the thicker OP gears which means it would still require the Mustang oil pump to be added as well. Let me know if you'd be interested in a package price for the loaded pump and crank gears together and I can see what we can do for you guys. Here's a link to the oil pump gear and crank gear bundle package. 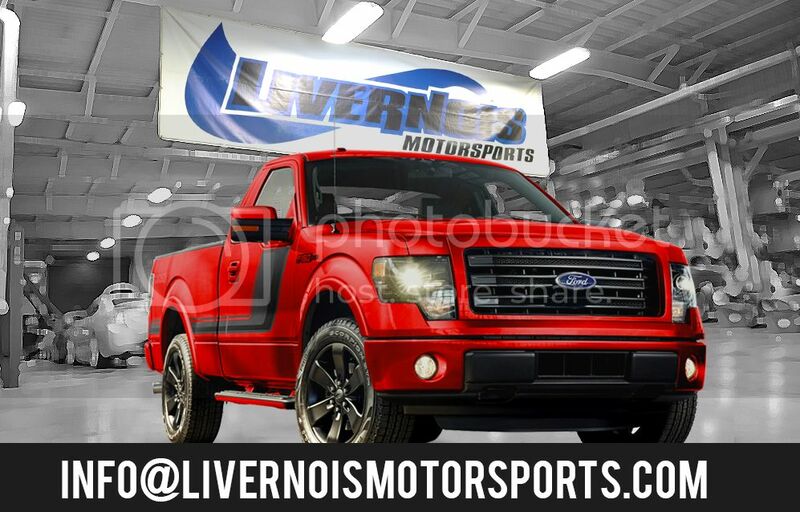 Last edited by Livernois Motorsports; 01-17-2019 at 10:21 AM. Ok this is all systems go. I have this locked in with a local shop. Guy is very well known in the STL area for his work on mustangs/coyotes. For those that are curious he is charging $800 for cam install and $200 to swap out oil pump or change opg in existing oil pump. 1k out the door. I am providing bolts gaskets. He is providing oil change material. I feel this is fair. I hope this inches me closer to high 11's, and I'm glad to get these off my damn shelf! So I ended up going with Boundary oil pump with billet gears and their billet crank sprocket (thanks to Livernois for their useful posts), cost was the reason I went with Boundary parts and I have read great things on them too. MPT said tuning is pretty straightforward for the GT intake cams, but a bit of data-logging will be necessary. So I have the cams, oil pump, crank sprocket, cam bolts, balancer bolt, oil change materials, coolant. Is there anything else I'm overlooking or any advice for other upgrades while this work is being done? Are you going to be increasing the rev limit? Not to pile on more costs, but installing a mustang crank damper might not be a bad idea if you are gonna greatly increase the revs. I’d recommend aftermarket, but I’ve heard mixed things on just about every aftermarket crank damper. I'm guessing it'll rev out a little higher, shifts at about 7k right now, so probably 7300-7400 with the cams. I was told by the shop that a damper wasn't really needed unless I was at or over around 650 rwhp. Rough guesstimate is I'll see 500-510ish after the cams. I will look more into this though, thanks for the insight. I've never ordered any Boundary parts before or from Team Beefcake racing. Have to say I'm impressed. 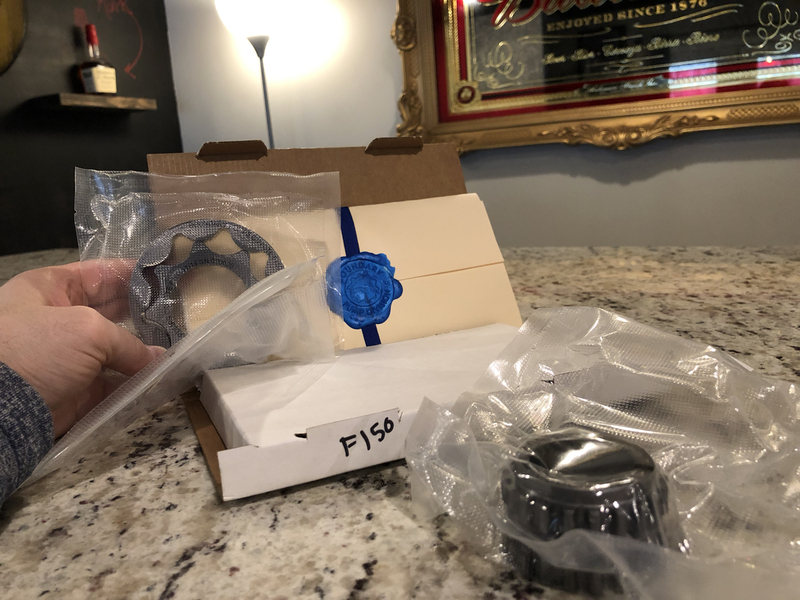 Crank and oil pump gears showed up in 2 business days and they are sealed and packaged nicely. They even class it up with a sealed and stamped envelope containing instructions and warranty information. Terry "Beefcake" is a sharp guy. He also did my boundary opg's. I just ordered a set of Kooks headers and y-pipe from him. Top notch service for sure.